It’s normal to be confused sometimes in life. We are all living the best way we know and there is not an official guidebook as far as we are aware of. Everyone is just improvising and that’s fine. However, you have a compass that, just like everyone else, you rarely use. This compass might not know the right way for everyone, but it knows what’s exactly the right way for you. We tend to listen to everybody and everything else rather than this compass. And we might actually end up solving the surface issues while feeling more lost than ever. It’s because we do not understand the higher wisdom that’s within us all. 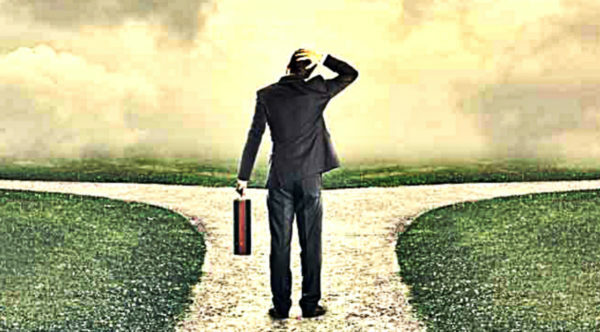 Here is how you can find what’s the right way for you when you feel confused. 1. Forget about all options, debts, shoulds and sides. This might sound counterintuitive, but everything you hear is just chatter. Stop listening to this chatter for a moment. People might give opinions, advices, you might consider your decisions based on what you owe or what your role should do. Forget all of it. That’s the ego’s thinking. It’s not your soul’s guidance. I am not saying that those advices and things you should do are wrong. I am just saying forget about all of it for a moment to be able to listen to what your soul is saying. Your soul knows the right way. It sees the circumstances from a higher perspective, it’s aware of all outcomes, it knows what’s best for you to grow. 2. Ask your heart and use love as compass. When there is no outer chatter of other people’s opinions, and when there is no inner chatter of your own mind’s opinions, only then you can go within and listen to your heart. Your heart will speak gently and softly. Its advice will not be forced or a result of a threat. It will seem like a gentle guidance. Asking your heart what’s the right way for you it might not give the answer right away, as the mind does. But give it time. The answer will start to surface in a form of emotion and intuition. You will have a sense of knowing what the right answer could be. When you have this sense of knowing, even though it might not be very logical, trust it. And follow actions inspired by love. Let what you love be a compass for your decisions. 3. Follow your own personal truth to reveal the answer. You might have this sense of knowing and you might suspect what the right decision is, but it all comes down to your own truth. What do your truth says? There are two important factors when it comes to your truth. The first factor is your personal best interest, and the second factor is creating the world you want to live in. The first factor will tell you what’s the best decision for you, how to stand by yourself and protect your personal boundaries. The second factor will tell you what do you stand for, what is the thing that’s right for you deep in your soul, what would you like the world to adopt from your decision. When you add these two factors together your personal truth will give you the best answer. It’ll reveal to you the one right way for you and it will be in alignment with your soul. When all the chatter calms down and you are able to listen to your heart and your personal truth for guidance, you will know the right way for you.